In my most recent article, we looked at pace bias in 5f handicaps on the all weather, and as promised here is a follow-up looking at the 6f trip, writes Dave Renham. For regular readers I appreciate the next few lines in some form or other seem to appear in all my pace articles, but for the benefit of new readers I need to clarify the following: when discussing pace the main focus is the initial pace in a race and the position horses take up early on. At www.geegeez.co.uk there is a pace tab within the racecards for each race, and the stats in this article are based on the site’s pace data. These pace data on Geegeez are split into four sections each of which are assigned points – Led (4), Prominent (3), Mid Division (2) and Held Up (1). For all my articles I concentrate on the numerical values to create a plethora of hopefully useful stats. The minimum distance of five furlongs gives the strongest pace bias on the flat as previous articles have illustrated. However, there is still a bias to pace horses/front runners over an extra furlong, which I will demonstrate in what follows. Over 6f front runners are still winning 1.75 times more often than average so we still have a decent starting point. The IV for front runners increases as the number of runners increases. This is somewhat counter-intuitive and is therefore worth bearing in mind. The article that discussed 5f all weather sprints looked at each course and distance individually. Once again this is the plan here, as different courses have different layouts, and also there are differences between certain track surfaces too. Let's start with Chelmsford and work through alphabetically. Just over a fifth of the 6f handicap races (SR 20.9%) at Chelmsford have seen the early leader going on to win. This compares with a strike rate of 26.3% over 5f: not quite as strong but with an IV close to 2 the front-running bias is still clear. It has already been noted that in bigger fields at all of the all-weather courses the front-running bias seems to be more evident. This is certainly the case here: in races of 11 runners or more at Chelmsford, the front runner has prevailed an impressive 21 times from 87 giving a strike rate of 24.1% and an Impact Value of 2.93. The draw seems to be material here, too, with those horses drawn nearest to the inside rail performing best when taking the early lead (all 6+ runner races). That makes sense as they will be taking advantage of the shortest route. Horses that have led early from one of the three lowest draws in these big field Chelmsford 6f handicaps have won 25% of their races with an Impact Value of 2.28. The 6f trip at Kempton has a decent number of races each year giving punters plenty of opportunities to get involved. Front runners have a clear edge here and, as with Chelmsford, field size accentuates this. In 6f handicaps of 11 or 12 runners (12 is the maximum at Kempton), front runners have secured 39 wins from 176 runners (SR 22.2%) with a very high Impact Value of 2.53. However, the draw data suggest there is no clear advantage to front runners drawn near to the inside rail (low). The statistics for Lingfield seem to suggest front runners there have the biggest edge compared with the other five UK all-weather courses. Any front runner here that is well fancied has done extremely well: horses that were either favourite or second favourite and led early over 6f here went on to win 39 times out of 80 runners equating to a win rate of nearly 50%. Coincidentally, the front running IV over 5f at Newcastle is also 1.74. Front runners do have an edge here but it is not a course I personally get heavily involved with, as the straight track for all distances up to a mile makes it a unique test of an all-weather horse in Britain. That greater emphasis on stamina produces the reverse to Kempton and Chelmsford, with front runners struggling in bigger fields. A reasonable IV of 1.85 for front runners, but it is also worth noting that horses which come from midfield or off the pace really struggle here just like they do over 5f. One other area worth sharing with you is when a front runner also happens to be in the top 5 of the Geegeez speed ratings, it has won on 22 of 79 occasions (SR 27.9%) producing an IV of 2.50. Comfortably the poorest stats for front runners are at Wolverhampton, where there is a very small edge only and little to write home about. 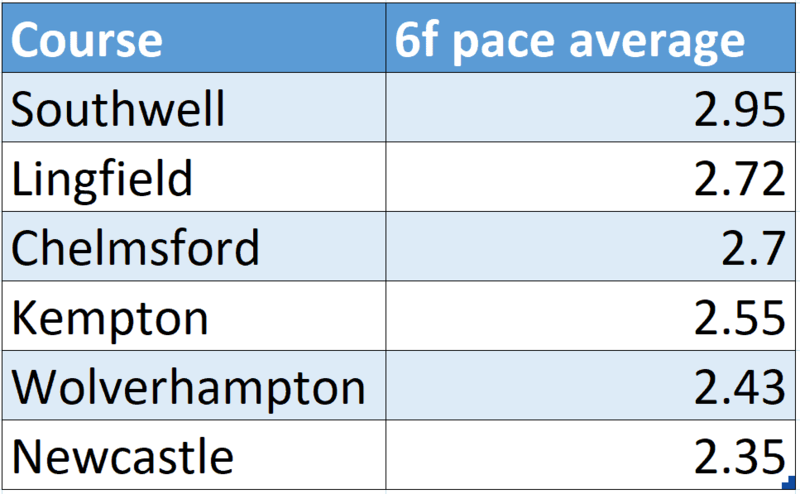 Indeed, pace seems to be far more balanced across the run styles at Wolves than at any of the other tracks. Before I finish, in other articles I have used the various figures to create course and distance pace averages. 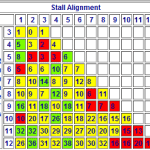 I do this by adding up the pace scores of all the winners at each course and dividing it by the total number of races. The higher the average score, the more ‘biased’ the course and distance is to horses that lead early or race close to the pace. A 6 yr old gelding who won over this trip at Wolverhampton back in January, but has admittedly struggled to find form off higher marks since then. However, a return to this trip allied to only losing narrowly last time out a week ago gives cause for optimism. He has a career record of 4 wins from 12 at this 1.5 mile trip and he's 4/11 on the A/W here at Lingfield, with a 3 from 7 record over course and distance. Hannon Jr: the Storm Rider? 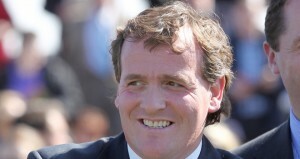 At Epsom the other day, someone asked Richard Hannon if he could give him a horse that might be worth following in the coming weeks. Helpful as ever the young tyro came out with the name of an unraced two-year-old that will win in a couple of weeks’ time. I cannot remember who the inquirer was and was so busy putting in my own two-pennyworth that I can’t remember the horse’s name either. 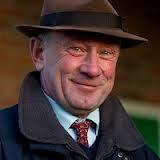 No doubt when Richard sends out a ten-length first-time Newbury scorer, it will hit me. Make no mistake it’ll win. When Tony Gorman, the Head Lad on the Herridge side of the organisation was interviewed before one of the team ran in Ireland the other day, Tony predicted an imminent torrent of juvenile winners, and there’s been little that’s happened since to conflict with that opinion. Having almost 150 two-year-olds and a similar number of older horses might have its logistical problems but as Luca Cumani opined in an interview years ago, “the more horses you have, the easier it gets” or words to that effect. They still get the odd disappointing result and more than the odd happy surprise. So, to go to my two-pennyworth. 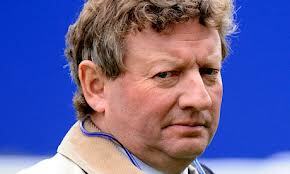 I jumped in with “that horse that won at Lingfield yesterday will win the Cambridgeshire”. Richard looked at me as if I were mad, saying: “he was off 56!” As I said at the time: “not for long”. In the BHA list of handicap ratings, the Hannon team has 117 horses listed with an official figure. 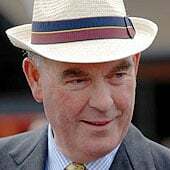 Very few come into the less than 70 category, and three only below 60, namely Storm Rider and two others, Bishop Wulston, 53 after four sub-Hannon-standard runs to which a fifth on a similar level was added last week. The other, Manor Way, is down to 55 (from an original 62) after eight fruitless outings. On the other hand, a bumper 27 of those 117 horses were rated 100 or above, and there are many in the next 10lb band after that. So Storm Rider could hardly have gone into his 0-60 three-year-old handicap on the mile grass course at Lingfield with too many expectations. He had been beaten a minimum of 15 lengths in maidens respectively at Newbury (last year, when only 4-1 for his debut) and this year at Windsor and Warwick. On the last of them, even a figure of 56 might have looked optimistic as he finished a toiling 22 lengths behind a winner that was assessed afterwards with 82. Yet in the race – one with a number of interesting “three-noughts” candidates - he started only 6-1, that despite a sustained run on the Stuart Williams-trained favourite which was backed from around that price to 5-2. He ran well, staying on strongly, but not well enough to get nearer than five lengths behind the winner, who showed no signs of stopping once Pat Dobbs had sent him into the lead. But for the fact that winners in the three-noughts circumstance have to be enquired into as a matter of routine, the local stewards might not have looked at it much further, but to their and the on-course stipe’s credit, they did. Luckily for them, the trainer was on hand. Unfortunately for young Richard, his helpful nature might in the end prove a bit of an embarrassment. As part of his explanation about the dramatic improvement in performance by this 150,000gns Amanda Skiffington purchase - she’s bought quite a few of their top horses in recent years - Richard cited the horse’s being unsuited both by the course at Windsor (where he actually was ahead turning for home under Hughesie) and the bends at Warwick. 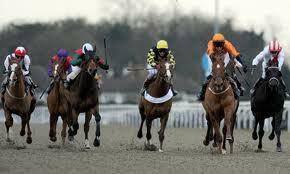 In contrast, he thought the long home straight at Lingfield (three furlongs) gave him a better chance. I thought Windsor had an almost five furlong run-in with just a little kink in it, but that’s me. When Richard’s a little bit older, he’ll enrol for the senior trainers’ explanation college. When a horse from one of those yards runs unexpectedly poorly, for instance, that trainer might say “I’ve no explanation”. That’s usually accepted. Having watched the three races minutely, true off a single camera angle – the BHA stewards when they convene will have angles galore to consider – my conclusion is that rather than try to be helpful, a bland “I haven’t a clue” would have served him better, because there’s absolutely no hint of preventing the horse doing his best with plenty of energy shown each time. That was probably pretty much the size of it. In the month between Warwick and Lingfield, a three-year-old could easily have suddenly realised what’s needed, and confidence-boosting work up the Herridge or Everleigh gallops, preferably in company with either Bishop Wulston or Manor Way, could have done the trick. So here’s the nub. Will this son of Fastnet Rock get into the rarified air of the Class 1 handicap? I think he might. As to what the handicappers will make of it on Tuesday morning, anything less than a 15lb hike, which will keep him out of 0-70’s has to be likely. Even then, it may well not be enough to stop him. The trainer’s own words confirmed: “he’s on the upgrade”, spoiling it a bit by suggesting he didn’t beat much. Australia needed to beat plenty to live up to the expectations at Epsom yesterday when I thought the style of the performance, both by horse and jockey, was eerily reminiscent of the perfect wins of the Vincent O’Brien – Lester Piggott days. Sixty years on from Lester’s first Derby, young Joseph O’Brien, no relation to Vincent except by environment, made it two by the age of 21, with a calmness that exceeded that of anyone else in the Coolmore entourage, save Vincent’s remarkably-spritely Australian-born widow Jacqueline, who was accompanied by her grandson Charlie. His father David O’Brien bowed out soon after his own Epsom success with Secreto. I can hardly believe that shock defeat of his father and Robert Sangster’s El Gran Senor was 30 years ago! With the Eclipse apparently the likely path for Australia, that should leave the way clear for the admirable Kingston Hill to annexe the Irish Derby, as did El Gran Senor when Secreto stayed away all those years ago. David and Vincent’s father and son’s Epsom 1-2 was echoed in the winning and second colours department by Paul and father Derrick’s silks on Saturday, possibly a first in Derby history, but ask John Randall or Tony Morris. I never fancied California Chrome last night at Belmont having seen so many great or not-so-great contenders fail to collect a Triple Crown in the US since Affirmed, 36 years ago. It was only a year after that Affirmed’s rider, Steve Cauthen, still in his teens, was recruited by Sangster to ride for him and the Barry Hills stable. I was at Salisbury for his first English winner on Marquee Universal on a horribly wet day that must have made him wonder if he did the right thing. His glorious Derby-winning time with Henry Cecil ended such misgivings from the Kentucky Kid, and it was great to see last night how kind the years have been to this unfailingly lovely man. Dydd Gwyl Dewi Hapus (Happy St. David's Day) to our Welsh readers! February, unfortunately, ended pretty much the same way as most of the month had gone: disappointingly. 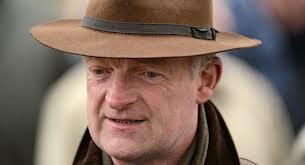 Ocean Legend never got involved at all, beating just one other runner home after having drifted out to 8/1. There's little more that I need/want to add to that! David Simcock's yard is flying at the moment: 3 wins and 2 places from 7 runners in the last week and a 33% strike rate over the last two months is further proof that he's a man in form. He's saddled up fifteen winners from forty-six in that time, with a further eleven making the frame. Added to this, David is the most successful trainer at Lingfield in the last two years (of those with runners today, of course!). He has an excellent 26.04% strike rate (25 winners from 95) and he has managed to get over half (54.74% to be precise) into the frame, making any of his Lingfield runners of interest to us, especially considering the form he's currently in. 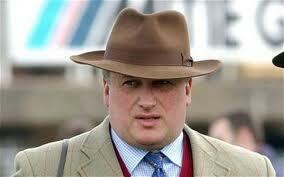 Yet, today's selection might well look a bit of a punt in the form of Gabrial The Boss. Gabrial The Boss is David's only runner anywhere today and you'd like to think he wasn't just sending the horse out on a two hundred mile round trip for the sake of a run. This horse has already won four races this winter, and has a record of two wins from four here at Lingfield. His winter success has inevitably resulted in a rise in the weights and he did admittedly struggle in his last two races: both here at his track. 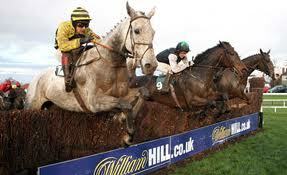 He last won three races ago off a mark of 74, but ran off 77 over 10 furlongs and faded late on, whilst his latest outing was over a mile off a mark of 76 and although he went better that day, he weakened considerably in the final half furlong. 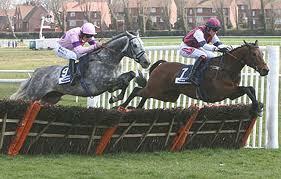 Both those races, incidentally, were Class 4 affairs and he's back to Class 5 racing today. He also drops back in distance today to 7 furlongs and is back to that last winning mark of 74, where it is hoped he'll make a bold effort to win the race from the front. He is more than capable of winning off this mark and whilst there are doubts over his ability to win at this shorter trip, those last two defeats gave me enough encouragement to think he might just go better than expected today. No joy yesterday as Oh Crick finished just outside the places in 4th. At the second last, it looked like we were at least going to get some place money, but he weakened on the run in and was left behind by the eventual front three. We had a decent run for our money, but ultimately no reward..
Robert Mills is having a decent run on the A/W this winter with seven winners from twenty-three races in the last two months alone and an overall strike rate for the whole winter campaign of over 26%. His record at Lingfield has been particularly good this winter too. From twenty-four contests he has managed to get 14 of them into the frame (58.33%), with eight of them (33.33%) actually winning. These eight winners have brought in 12pts at SP for a handy 50% return on investments. Robert has just the one runner out today: Close Together. Close Together is making only her second appearance on the A/W today: having already won here at Lingfield over a mile in October 2012. This three-year old filly hasn't raced since then and should be ready and fresh for today's encounter. She's a filly from Dylan Thomas and is a half-sister to several winners including a winner of the group 2 Champagne Stakes, Close To You , who incidentally was 2 from 2 here on this A/W track, including a listed race. Close Together kept on well when securing her maiden victory and she should have no trouble staying this extra two furlongs today based on her breeding, which does tend to suggest that this trip or even a quarter-mile further will be the eventual aim. On 14th January, I selected Club House for SotD to compete over the same course & distance as today, but he was withdrawn from the race. He'd won back to back Class 4 C&D handicaps (same conditions as today) and although the race 10 days ago would have been a drop to Class 5: he is more than handy at this level. The full reasoning behind the pick last time is right here. Little has changed from the stats posted that day: the horse hasn't run since, it's the same course & distance and it's a handicap. There is one less runner and the contest is back at Class 4, but he does have form at this level. The trainer Robert Mills has only had one entry at Lingfield in the last ten days and although that runner was unplaced, his course stats are still impressive. He stands at 10 winners and 9 further places from 32 over the last year and the win profits are just shy of 18pts. The promising Robert Tart (7lb claimer) retains the ride today and will be looking to improve on his already-excellent 435 strike rate on the Lingfield A/W surface. The step back to Class 4 from our original selection has been reflected in the price, which I expected to be around the 9/2 (or lower) mark. At 1030, one could argue that a safety-first E/W bet could work with the 5/1 BOG on offer, but fortune favours the brave or so they say. In which case I'm going to plat as a 1pt win bet on Club House at 5/1 BOG with BetVictor.